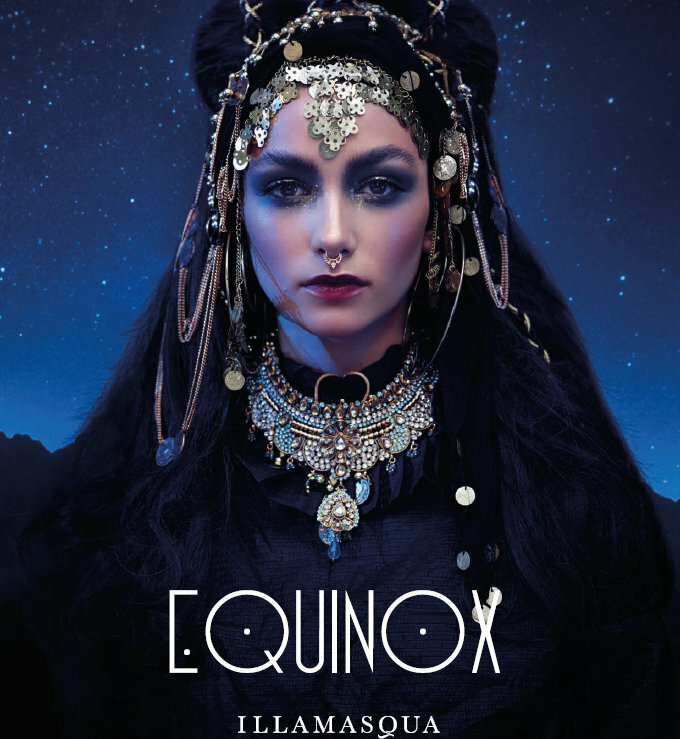 It's the 15th of October & today Illamasqua launches it's new collection- EQUINOX. 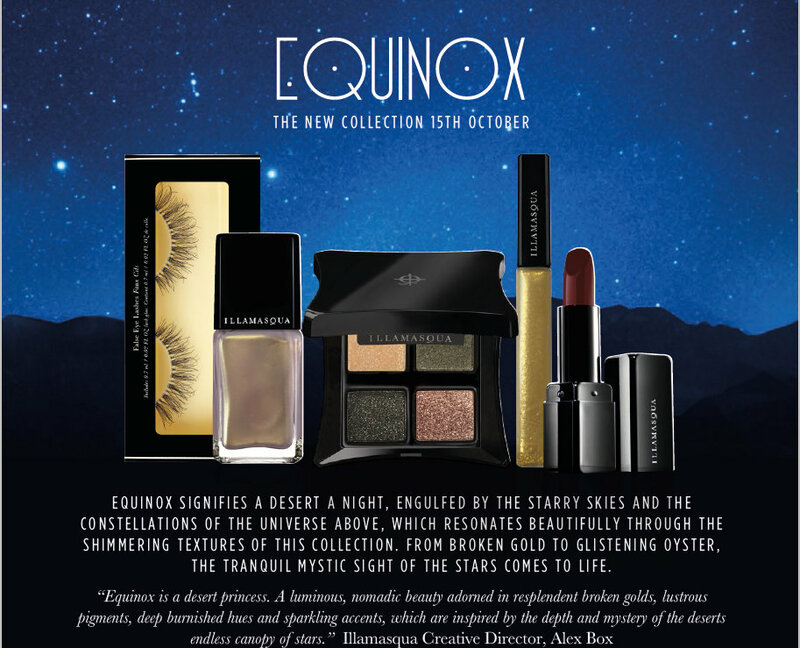 Inspired from the mystical starry desert nights, this collection includes an eyeshadow quad with four gorgeous metallic shades, a nail varnish, a pair of dramatic false eyelashes, a deep red Glamore lipstick & Broken Gold. Harnessing broken golds, lustrous pigments and deep burnished hues, the collection includes: Broken Gold (£18.50), a liquid gold formula designed for creating metallic accents on the eyes; Celestial Palette (£34), a combination of four pigmented cream to powder eye shadows, made up of two satin finishes: Quell (champagne shimmer) and Solace (burnished grey), and two lustrous textures: Jubilance (warm copper) and Orb (iridescent barely black); False Eye Lashes in No. 27 (£12.50), for adding subtle volume and length; Glamore Lipstick in Vega (£19.50), a colour intense, deep claret red lipstick enriched with vitamin E; and Nail Varnish in Beam (£14.50), a pearlescent metallic nail varnish in the brand's long-lasting chip resistant formula. Doesn't it look divine! Are you going to check out this new collection?